It's time to start carving those pumpkins! Here's your annual list of pumpkin patches. 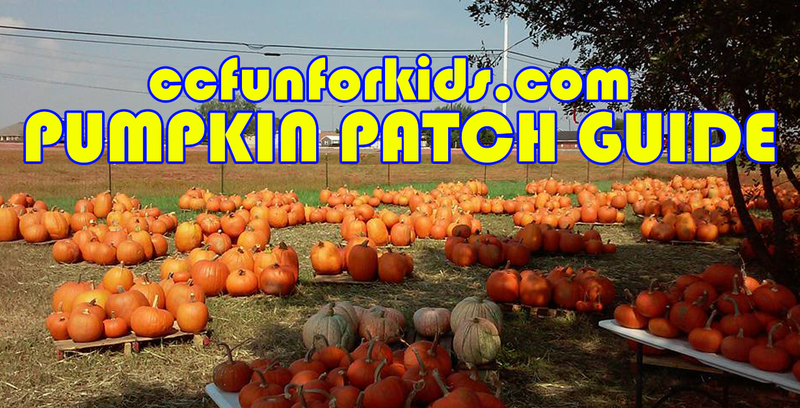 Make sure to check back often because this list of pumpkin patches will be updated regularly. 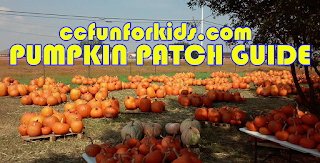 If your organization has a pumpkin patch and would like to be included, let us know. Always check with the organization for the most updated information since information is subject to change. All pumpkin patches in Corpus Christi unless indicated. Compiling these lists is a lot of work, so please by courteous and give credit to Corpus Christi Fun for Kids when using this info. Annual Pumpkin Patch benefiting the Children's Ministry of St. John's UMC! Tons of pumpkins of all sizes, story time field trips for kids and school groups, and free photo ops set up! Proceeds go towards their church's youth. Story Time among the pumpkins Monday-Friday 9:00 AM-12:00 PM starting October 15th! Cost: General admission prices $13.95+ tax, kids 2 and under free. Apple Blaster $5 for 6 apples and pumpkins for purchase. Ticket booth closes 30 minutes before posted closing time. You can purchase at ticket booth or online. Every Saturday beginning Oct. 13 are Family Fun Days. Food Trucks all day! Then from 5-7pm Hayrides, Face Painting and lots more fun things to do. Cost: Free admission, pumpkins range in price. Cash only.